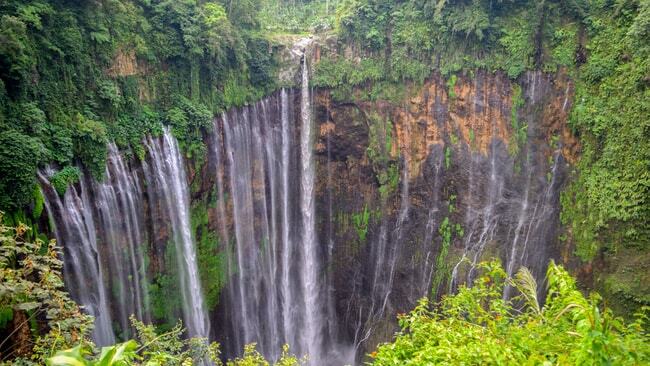 Indonesia is a tropical archipelago graced with more nature than one person could enjoy in a lifetime. The mesmerizing nature and fascinating culture have pushed the country high on the list of coveted places to visit in the world. Among hundreds of charms the country has, here’s our guide to the natural wonders in Indonesia that will take your breath away. Even in a vast tropical gem with hundreds of mesmerizing spots to enjoy marine natural beauty, Raja Ampat Islands still stands out among the others. Comprising about 1,000 small islands, the archipelago’s landscape itself is a one-of-a-kind feature. The pristine land is inhabited by endemic birds, colorful wild flowers, and other wildlife. 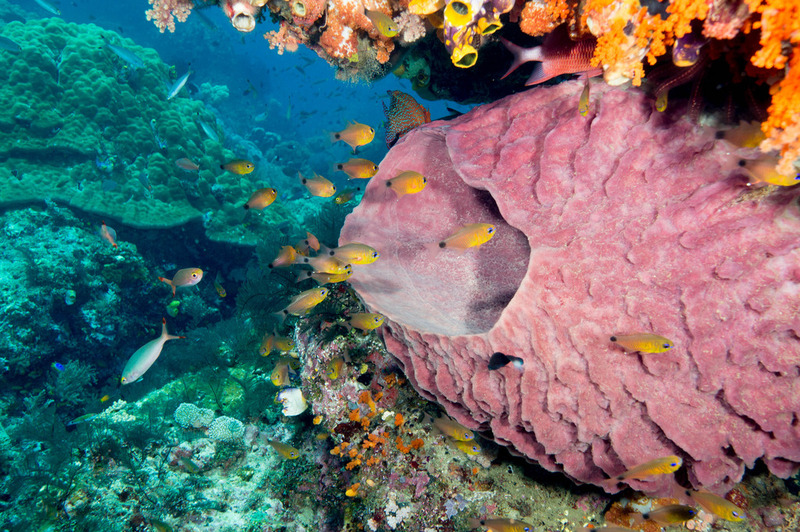 Further under the sea, lives at least 500 species of coral and 1,400 of fish, including whale sharks, manta rays, pygmy seahorse, and more, making the location one of the world’s most-prized diving spots. 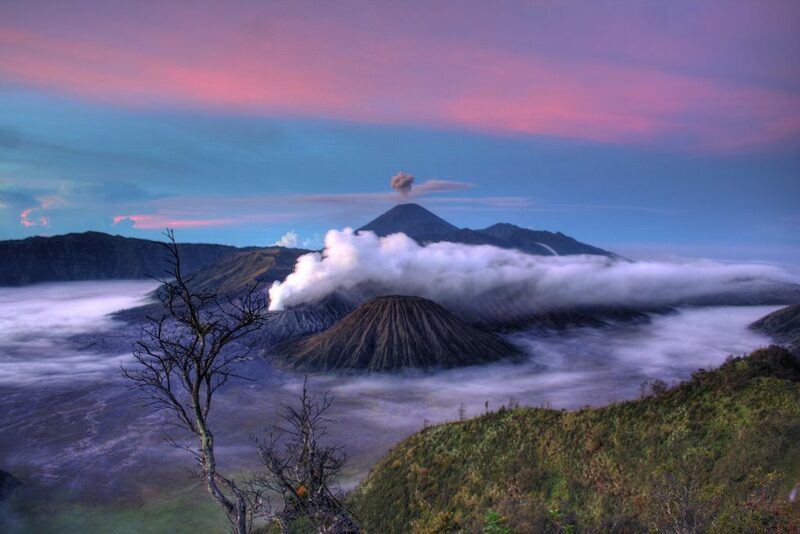 Mount Bromo is one of the most visited tourist attractions in Indonesia, and if you’ve seen the breathtaking nature, you’ll undoubtedly understand why. The active volcano sits in the middle of a plain called the Sea of Sand (Segara Wedi), along with several other mountains. This active volcano has an iconic blown-off top from recurring eruptions, resulting in a stunning mountain landscape emitting sulfurous smoke, one of the most popular and photographed scenes from Indonesia. This awe-inspiring volcano lake is best known for its curious case of color-changing water. Comprises three adjacent lakes, each has a color of its own, and those colors are still constantly changing over time. From different shades of green to black, the other to red, brown, and so forth, due to the volcanic activity. During the last century, one of the three lakes changed color 44 times. Each time this happens, locals will bring offerings for their ancestral spirits, making the natural wonder a culturally significant spot as well. Cermin means “mirror”, which exactly describes the lake’s natural charm. The crystal clear water makes it possible to observe the lake’s bottom just by glancing down from above; no need for snorkel or equipment of any kind. 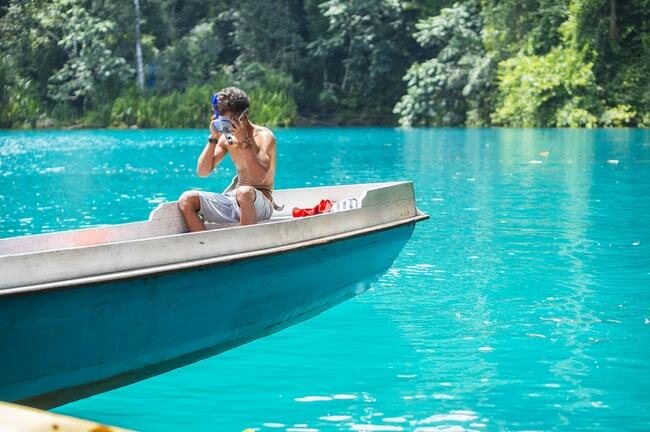 Tourists can rent a boat to float about in the lagoon (you can even see the boat’s shadow at the bottom of the lake!) or rent a tire float and swim freely around the translucent water that gloriously reflects the sunlight. This lake also has another curious feature. Miraculously, the water near the bottom is salty but near the surface, it’s all freshwater. Swimming below the surface, you can see the habitat changing from freshwater fish to exotic saltwater organisms. Widely known as a habitat to the curious and ancient Komodo dragons, this island’s natural beauty matches its wildlife wonder. It has a picturesque landscape of hills, lush vegetations, exotic coastlines, and clear blue ocean, all in one glance. Any point in the island, be it the otherworldly Pink Beach or the hilltop overlooking the ocean and nearby small islands, is a natural wonder like nowhere else in the world. This summit will mesmerize anyone partly because of its picturesque rocky mountain charm, and partly because of the unlikeliness and uniqueness it bears as a snowy mountain in a tropical country that has never seen snow elsewhere. 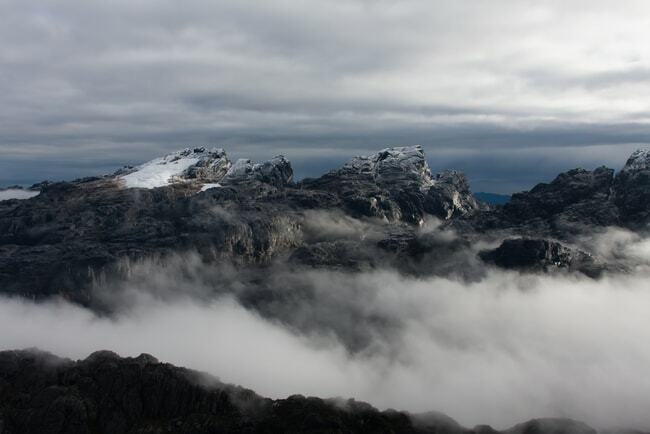 As Indonesia’s highest peak that belongs to Mount Jayawijaya in Papua, this top is listed in the seven summits of the world, attracting hikers from around the world. A few hundred meters below the peak is Lake Idenberg, the mysterious lake that drains and fills itself, with occasional appearances of a mystifying black swan. Having been founded in 2003, this stunning beach still has its pristine natural charm. Characterized by the iconic peninsula that appears to hug the beach area below, this spot is as picturesque from above the cliffs as it is below, in the white sand, translucent water area. Tourists can spot manta rays swimming about when the water is shallow and explore the caves around the beach that serve as a home to swallows. 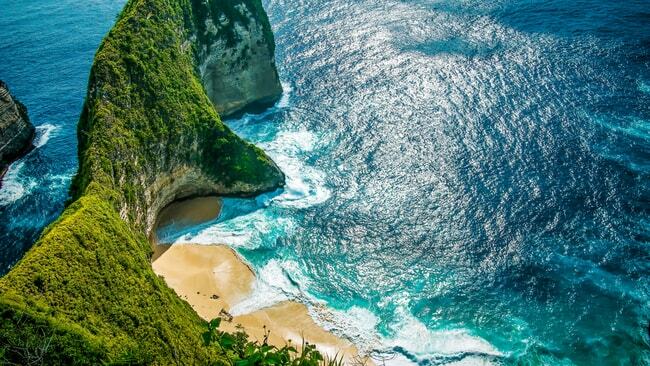 Located in Nusa Penida, a small island off the shore of Bali, Kelingking Beach shares the land with other pristine natural wonders. 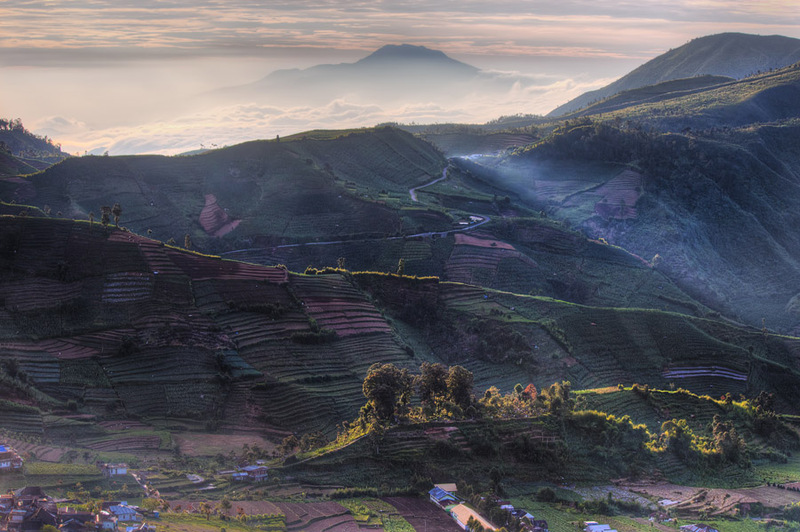 A historical plateau just above the clouds, Dieng presents tourists with a hypnotizing view of rice fields, villages, and jungle from high above. A culturally significant spot, this highland houses ruins of ancient temples, where beauty is accentuated by the magnificent nature in the backdrop. Beyond its raw natural magnetism, the location is also cherished for the fascinating culture of the local ethnic group, reflected in their customs, artifacts, and festivals. Meaning “a thousand waterfalls” in the local dialect, this waterfall indeed has countless water flows falling gracefully from the lush cliffs. The clear, rushing water runs through rocks and greenery, decorating the concave hills with a wonderful backdrop of froth. Tourists can observe the natural wonder from above the adjacent hills or descend below to swim in the cool mountain water. 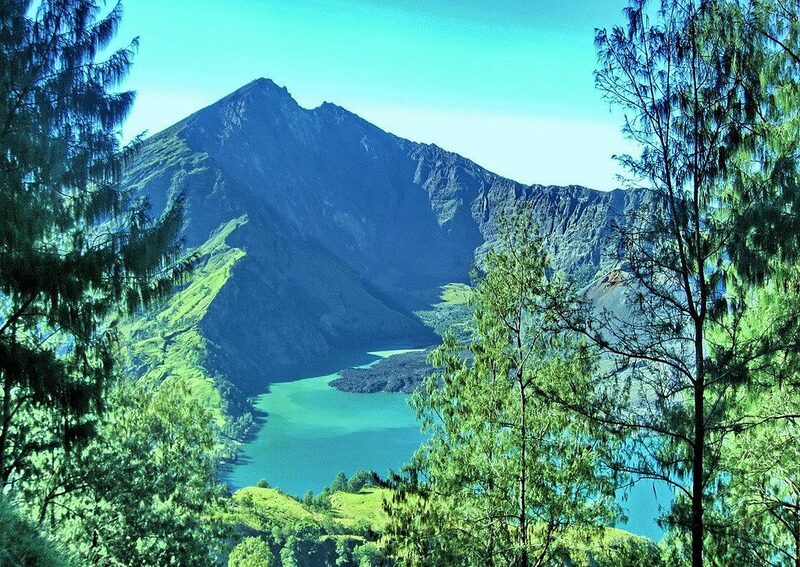 Mount Rinjani is the second highest volcano in Indonesia, located in an equally beautiful island of Lombok. Around this mountain’s area, natural wonders are in every corner, from twin waterfalls to translucent rivers. 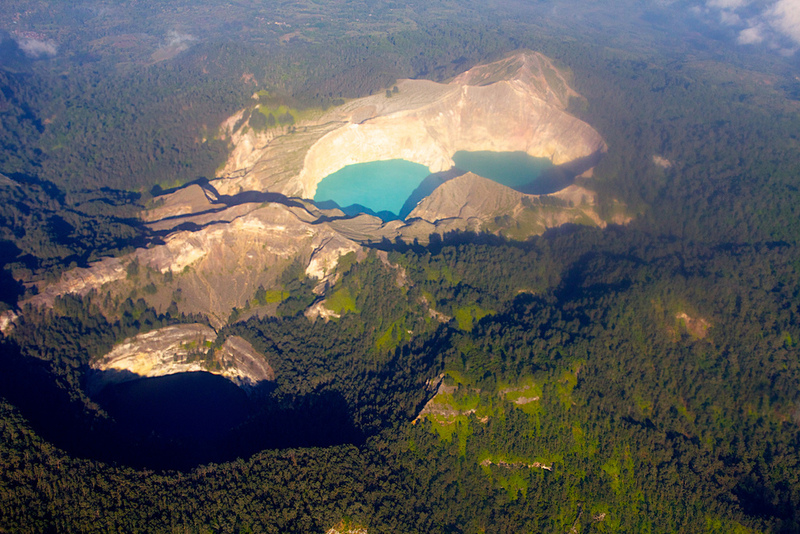 Those who are determined to reach the summit will be privileged with the breathtaking sight of Lake Segara Anak, a crater lake with exquisite blue water surrounded by pristine jungles and mountainous structure.